For those who don’t smoke, it is hard to understand why someone would engage in a habit where they pay to destroy their bodies. However, to someone who has a smoking habit, all he or she is thinking about is getting that next cigarette no matter what the cost is. However, there are ways for those who want to quit smoking beat their addiction. One option for those who want to stop smoking is to quit smoking immediately. When someone quits cold turkey, that person is committed to giving up the habit on a certain date with no exceptions and the expectation of never smoking again. While some people declare their intention to quit after they finish their most recent cigarette, most people choose a quit date and try to stick to it. Another option is to enroll in a smoking cessation program to help those who want to quit stop smoking. A cessation program may allow those trying to quit to smoke during the first week or 10 days of the program as they slowly wean themselves off of cigarettes. To combat cravings, those in a cessation program will use nicotine patches or gum to give them small doses of what they crave as their bodies continue to get used to not smoking. When it comes to quitting smoking cold turkey vs a smoking cessation program, the best option depends on the needs of the individual. For those who have the willpower to avoid cravings or who have a strong support network, it may be possible to quit smoking without a cessation program. However, those who need the support offered by a cessation program may find that entering such a program is more effective in helping to overcome the habit. Those who are trying to quit smoking should do whatever they need to if it helps them reach their goal. 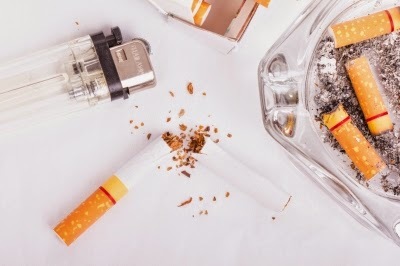 Whether a person decides to walk away cold turkey or uses gum or nicotine patches to slowly reduce their dependence on cigarettes, the ultimate goal is to stop smoking as soon as possible. Read related: Prescription Pills – What the Media Isn’t Telling Us – Transitions Recovery Program.